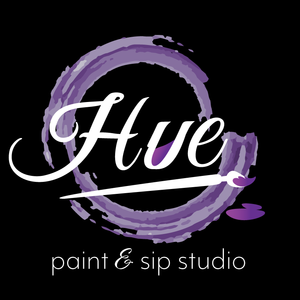 Effective May 5, 2019, Hue Paint & Sip will be a traveling studio and will host all public and private painting events at local venues or private selected locations! STAY-TUNED! UNTIL May 4, 2019: Parking is available in our parking lot, as well as, at the corner of 57th and J after 5:30 pm in the brick building parking lot during your class or event time only. Thank you for contacting us - one of our team members will get back to your soon.